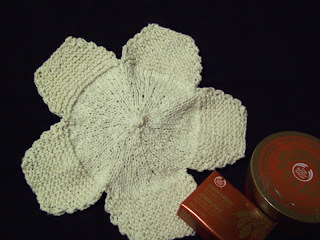 Somewhat of a misfit who knits... sharing her knits and other bits. 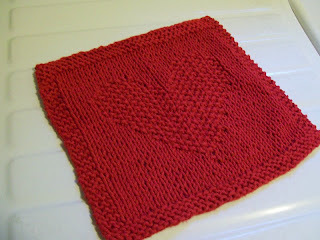 Note: This pattern finishes leaving many ends to weave in. Once again Jon and I enjoyed an intimate Thanksgiving Day together at home with our dog, Nico. We took a snowy walk through the woods in the afternoon, then watched a martial arts flick after dinner. We tried some new recipes this year and everything was delicious. 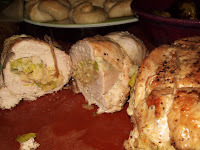 The highlight of our feast was Oven-roasted Turkey Breast with Leeks and Cornbread Stuffing, a recipe I saw on an episode of Tyler Florence's Ultimate Turkey Dinner on the Food Network. (I chose to make the cornbread from scratch.) We also made Tyler's Grainy Mustard Mashed Potatoes, which were fabulous! (I chose to leave in the garlic.) 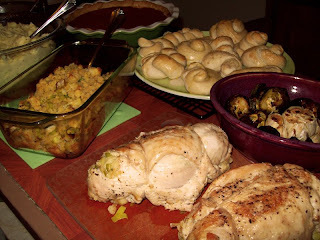 These dishes were accompanied by homemade dinner rolls, roasted Brussels sprouts and garlic, turkey gravy, and Jon's favorite... a can of Ocean Spray Jellied Cranberry Sauce. For dessert I made my very first Sweet Potato Pie. The recipe was simple to make and the results were perfect. 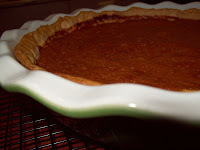 I read that sweet potato pie is a favorite of President-Elect Barack Obama, so I voted for a change from the usual pumpkin pie... it turned out to be a pretty sweet choice. 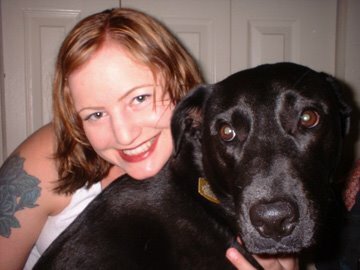 Happy Thanksgiving 2008! I've been a bad blogger lately so this post is a pathetic attempt at making up for lost time. 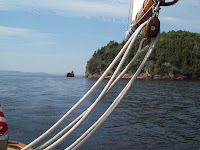 A couple of weeks ago Jon and I went sailing aboard the Friend Ship which has become a summer tradition for us since moving to Vermont. 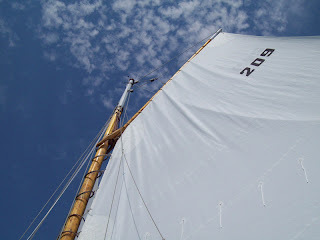 It was a beautifully warm and breezy day in September; perfect for sailing on Lake Champlain, (though we have yet to see "Champy"). Vermont is home to many local farms and purveyors of artisan foods, however the state severely suffers when it comes to good Mexican food. Growing up in Southern California I was practically raised on the flavors of Baja so I resorted to purchasing a couple of books on Mexican cuisine. 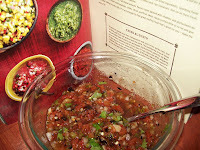 The recipes found in "¡BAJA! Cooking On The Edge" by Deborah M. Schneider have been successful in satisfying my cravings. Shown here is a picture of the first (of many) recipes I've already tried, Salsa al Comal (Roasted Tomato Salsa) and it was delicious! 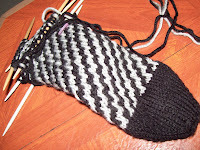 Finally, I've been unsuccessful once again at knitting socks. Maybe the third time will be a charm. These socks were knit toe-up and I was well on my way until I discovered 7 1/4" later that apparently I knit much tighter when knitting with two colors of yarn. I did learn how to pick up stitches to start shaping the heel, but I may apply that technique to the thumb on some winter mittens before I attempt another pair of socks. 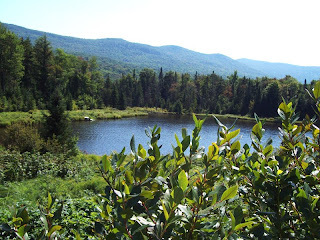 Last weekend Jon and I went to Blueberry Lake to pick wild blueberries. It was a gorgeous Saturday morning (which we seem to have had too few of this summer). 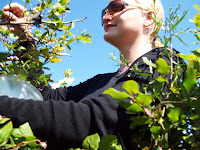 It was my very first time picking blueberries (or anything for that matter). Now I can appreciate why they cost about $3.99/pint in the store. Jon was a picking pro, and if it wasn't for his excellent clothing recommendation I probably would have been miserable. I returned home with several scratches and mosquito bites, but no sunburn. Two out of three isn't bad. 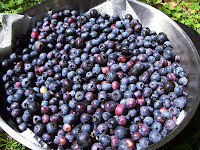 He also picks a lot faster than I do which is how we managed to gather 4 quarts in a mere hour and a half. 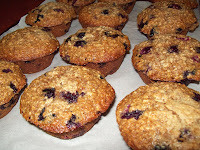 I was going to preserve jars of jam with our blueberry booty, but instead decided to freeze the majority and bake some Blueberry Oatmeal Muffins. 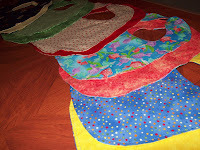 Three out of the four babies I've been making bibs for are already born... but who's counting? 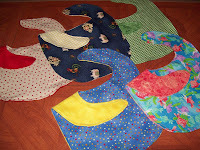 I managed to produce 13 Simple Bibs from Amy Karol's book, “Bend-The-Rules Sewing”. 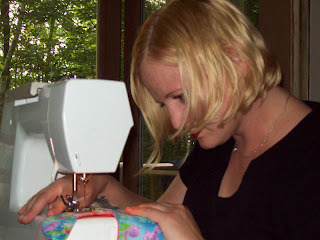 I lost a couple in the beginning as I was getting the hang of sewing around tight curves. These bibs are cotton with cotton flannel backing. The saleswoman at the fabric shop was very helpful with selecting complimentary fabrics. I just need to place the snap closures and they'll be ready to mail. 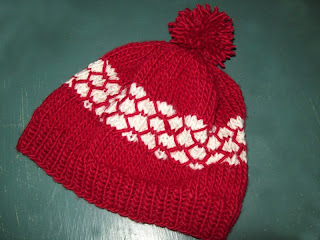 I am pleased with the results and I feel much more comfortable with my sewing machine. I hope the recipients of these bibs will stain them with pride! On weekends I often make a soup or salad and portion it out to have for lunches during the week. I don't like to spend money on lunch and eating out is so fattening. So, every week I try to develop a new and healthy lunch option that I won't be tired of eating before Wednesday. 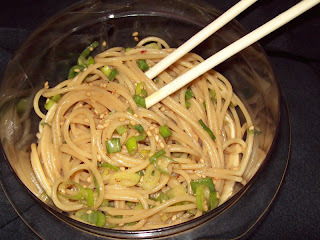 Today I combined a few recipes that I found online to create Cold Sesame-Peanut Noodles. Cook: 7 oz. of Barilla Plus Spaghetti according to directions. Meanwhile: In a separate bowl whisk together; 1 Tbs. Reduced-Fat Jif Peanut Butter, 1 Tbs. sesame oil, 1 Tbs. vegetable oil, 1 Tbs. soy sauce, 1 tsp rice vinegar, 2 tsp honey, 1 Tbs. chili powder, a pinch of red chili pepper flakes, and 6-8 dashes of Tabasco. Drain and Rinse: Cooked pasta in cold water until cool. Combine: Cold pasta and sauce, toss well. Add: 1 Tbs. sesame seeds and two diced scallions, toss to combine. This weekend I also made Tangy Mustard Coleslaw from the June 2008 issue of Cooking Light Magazine. It was really good! Cook 9 oz. of fresh whole wheat cheese tortellini according to directions. (Shown: Buitoni Whole Wheat Three Cheese Tortellini). 1/2 tsp dill (dried), and a generous pinch of Kosher salt and freshly ground black pepper. 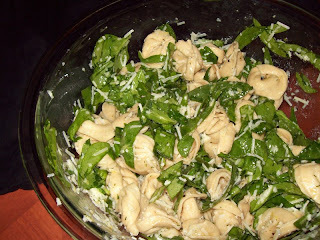 Add: 2 cups organic baby spinach (remove stems, cut as thick chiffonade). Drain and Rinse: Fully cooked pasta very briefly in cold water. Add: Warm pasta to spinach/vinaigrette mixture and toss to combine well. Add: 4 oz. shredded Pecorino Romano cheese, toss to combine. 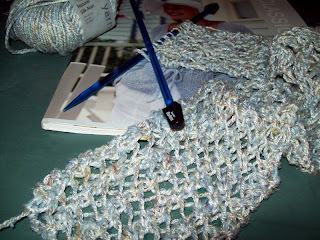 Some knitting... for your viewing pleasure.